Alia wows at yet another friend’s wedding! HomeBOLLYWOODENTERTAINMENT NEWSAlia wows at yet another friend’s wedding! Alia Bhatt absolutely loves weddings. If she isn’t attending one, she’s posing on the cover of a bridal special, or then talking about her prospective bridesmaids. A real girl’s girl, our li’l Ms. Bhatt! She does take this team business very seriously especially when it comes to weddings, and never ever misses a friend’s big day, no matter how busy she is with work. For instance, in January 2015 she had taken a break from filming Shandaar and attending all the assorted awards functions, to fly off to Goa for her close friend’s wedding celebrations. 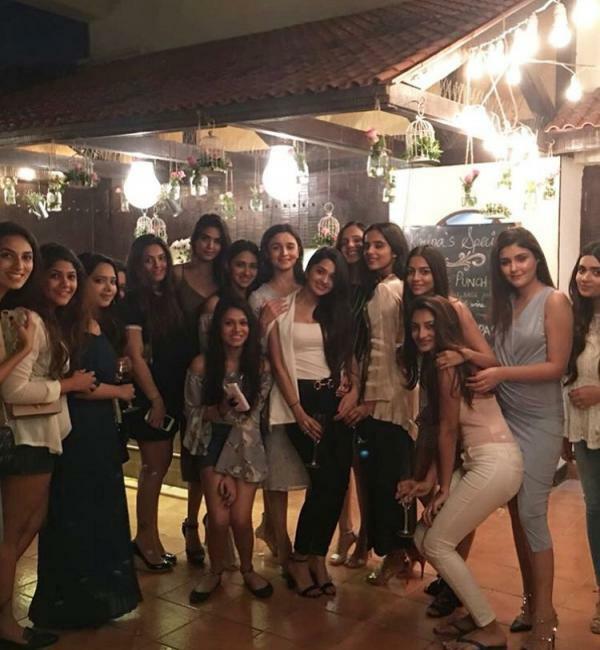 Alia was spotted in a host of pretty traditional costumes, having a ball with her gals. Later that year, she played a key role in planning her pal Masaba Gupta’s wedding; she even performed at the Sangeet, dancing to the tunes of ‘Gulabo’ and ‘Sari ki fall sa’. Of course, Alia being Alia, she doesn’t hesitate to put an ultra-demanding bride in her place, even if the bride happens to be her closest friend. Quizzed recently on what advice she would give to brides, she had revealed, “Actually, my best friend is getting married in January (2018). I would give one advice to her and everyone: please don't make your wedding a torture for everyone around you, as everyone else is happy for you.” Bridezillas, do note! Sweet, but somehow we don’t doubt that it will be at least a decade or two before this li’l powerhouse considers a walk down the aisle herself.